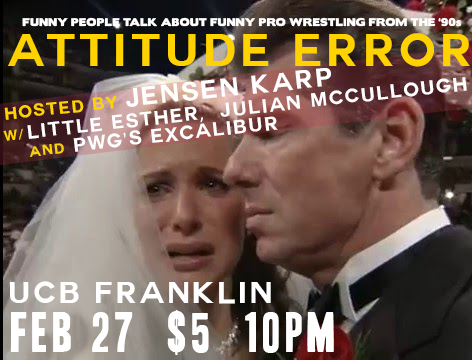 attitude error this Saturday night! 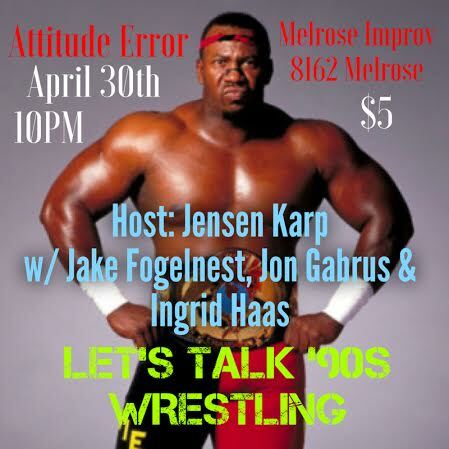 Tonight is the first installment of Attitude Error, my newest show at UCB (Sunset), where I will sit down with funny friends and watch ridiculous ’90s wrestling. I’ll be joined by Sean O’Connor, Jermaine Fowler and Dan St. Germain – and we’re going to get very spooky. You do not have to know anything about wrestling to find this funny. Actually, it may be funnier if you’ve never actually watched wrestling. Because it’s insane and should be foreign to everyone. 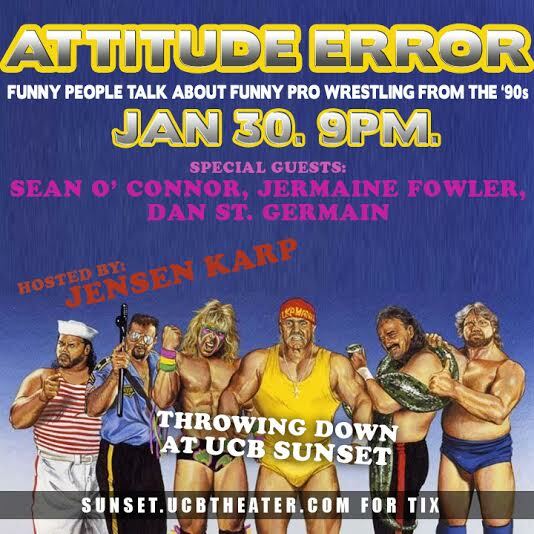 Come check out my brand new show at UCB: Sunset, Attitude Error, where I’ll sit with funny people and talk about ’90s pro wrestling. The first night is with guests Jermaine Fowler, Sean O’Connor & Dan St. Germain. This is gonna be good.